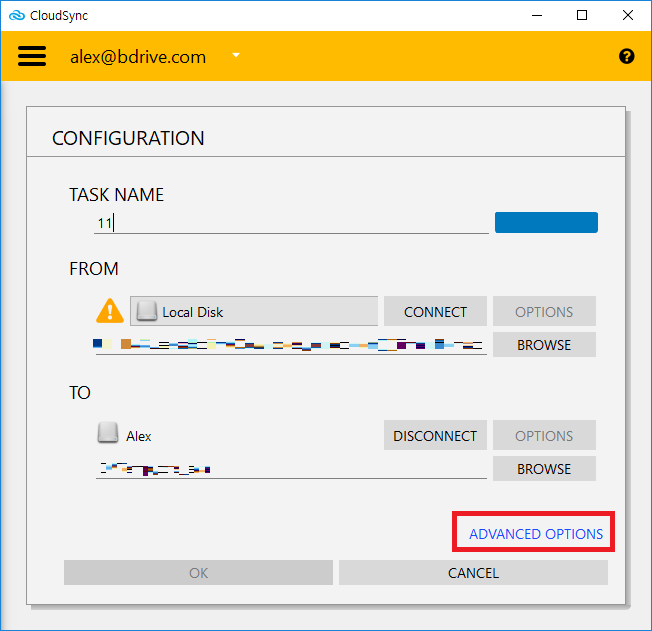 CloudSync and NetDrive3 - speed comparison? I have CloudSync 2.0.269 (paid for, without 100 file limit) and Netdrive3 3.1.286 (with the Hubic fix, thanks). (a) Use CloudSync to sync between DropBox and Hubic. … which will be better ie faster and/or more reliable? Having just done 8G using CloudSync I can’t say I’m impressed with the speed. I assume I am limited to the slowest of my Download and Upload speeds (50M/5M) of my fibre connection, as I doubt that any server to server connectivity can take place. However, I assumed it would be more reliable as this connectivity would not depend on any Windows 10 network drive software - right? 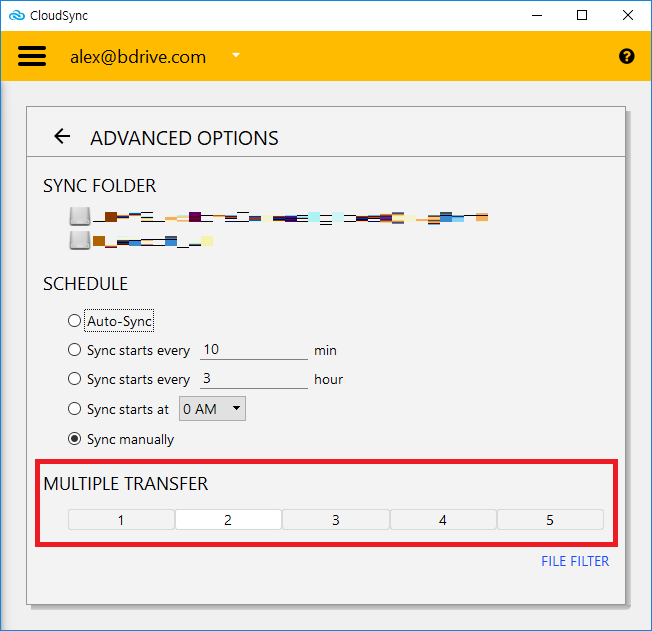 Basically there is no difference on CloudSync/NetDrive3 about transfer speed. If you just want to sync files, I think CloudSync is better solution. NetDrive3 works on file system. That means NetDrive3 need to process more data to sync files. But CloudSync will process only just need to sync. Also CloudSync will not make any cache files either. did the files download to the Computer first then upload or not? CloudSync will not download files to your hdd but uses network traffic and memory(about 4MB per transfer) to upload. can webdav set thread of the work progress? Sure. All of cloud service and protocols supports it. You should change it on Advanced options. Yes but we recommend to consider network connection. will you change the max more than five? 5 threads only use little of my hardware source. and the task can run only one at one time? will you change the max more than five? We have no plan to support more than five threads. later can software set two or three task at once? We are consider about that but not scheduled yet.